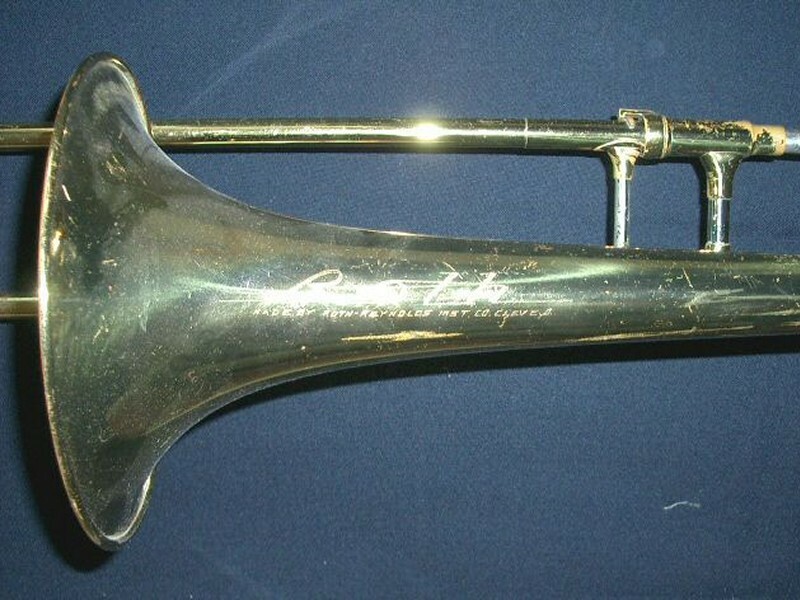 The photos and notes below describe the different engraving styles that were used on Roth instruments over different periods of the Reynolds Company’s history. 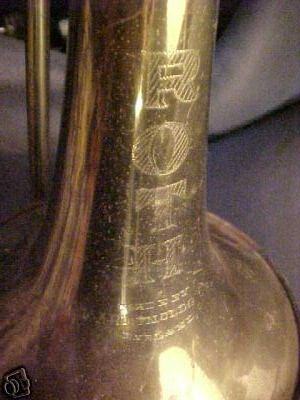 1936-1950 is the period when Roth instruments were made under the Ohio Band manufacturing label. The Roth “Tone Tempered” models were introduced around the same time that Reynolds launched the Emperor model line (1947). 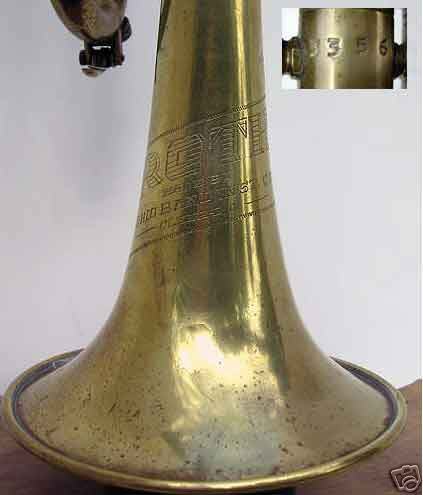 Both models featured brass construction with a nickel-silver bell flare. The Roth variant appears to have been discontinued in the early 1950s. For a short period of time (approx 1950-52), Roth instruments were produced by F.A. Reynolds Co. under Scherl & Roth ownership. 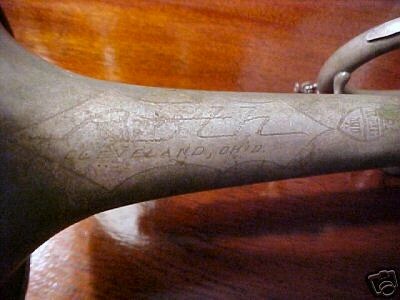 The engraving is marked “Made by F.A. Reynolds”. The “Roth” block lettering engraving was changed to a script style that matched the engraving styles of the other model lines (Contempora, Emperor, Professional). Same as above except the “Made by…” text is split on two lines. 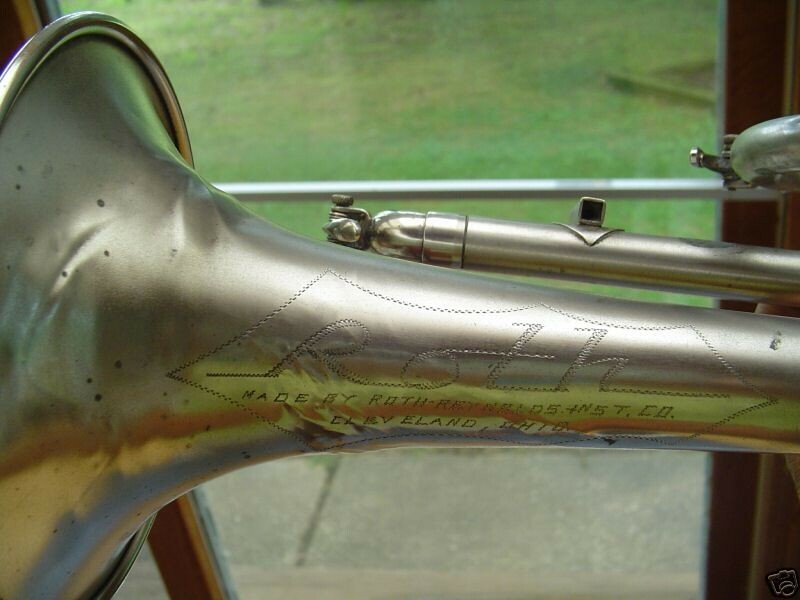 There are a few examples of RMC-branded Roth instruments, however, it is unknown whether there was actually a production overlap given that similar serial number horns are not marked RMC. The engraving is the same as the previous examples except the “Made by…” text is replaced with “Cleveland, Ohio” and the RMC shield is added on the right side (of the engraving).